Michael Lazerow is a New York-based serial entrepreneur and angel investor whose love of startups and success in media companies can be traced back to his days in college. It was during his sophomore year at Northwestern University that his first startup, University Wire, was founded. U-Wire, now owned by CBS Corp., is an Associated Press-type network of over 700 student-run publications that covers campus news and student issues. In 1997, after selling the startup to the student membership organization, Student Advantage, he joined their management team and helped Student Advantage become a leading marketing and media company in the college market. During his time on the team, the company grew to 300 employees and brought in more than $80 million in annual revenue. Immediately following his departure from Student Advantage, Lazerow began work on GOLF.com, a golf media property that was funded by leading venture capital firms and media companies, including The New York Times Co. and NBC Sports. In January of 2006, it was purchased by Time Inc. — a deal that generated an impressive 800% return on his initial investors. As part of the acquisition, Lazerow became the general manager of GOLF.com and GOLFONLINE.com for Time Inc. for one year. With his commitment to Time Inc. complete, he left the company in 2007 to open Lazerow Consulting, which helped internet-based media businesses finance, launch, manage and grow their companies. It was during this time that Lazerow and his wife, Kass, founded Buddy Media, a social media marketing management software company of which he was founder, chairman and CEO. Launched in October of 2007, Lazerow and his wife sold Buddy Media to Salesforce.com for $689 million by August of 2012. The company is now part of the Salesforce Marketing Cloud. 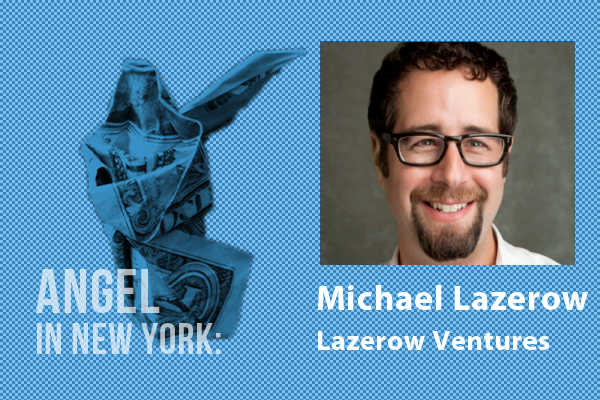 Since January of 2010, Lazerow has funded all his personal tech investments through Lazerow Ventures. The fund, which he manages with his brother, John, and wife, Kass, has invested in several high profile venture firms and companies. Investments include Facebook, Tumblr, Buzzfeed, Domo, Bitium, ChatID, eVenues, Have to Have, Namely, Lerer Ventures and Mesa Partners. Aside from investments and startups, Lazerow actively works with nonprofit organizations Cycle for Survival, charity: water and Donors Choose. For the last few years, he has reached out to people through his website to donate to charity: water in honor of his birthday. Lazerow has both a B.S. and a M.S. in Journalism from Northwestern University. Advertising, Consumer Internet, E-Commerce, Education, Fashion, Hospitality, Real Estate, SaaS, Social Media, Blogging Platforms, Identity Management, Search Marketing, Billing and Venture Capital. E-Commerce, Strategic Partnerships, Digital Marketing, Digital Media, Marketing, Social Media Marketing, Online Advertising, Sales and Mergers.